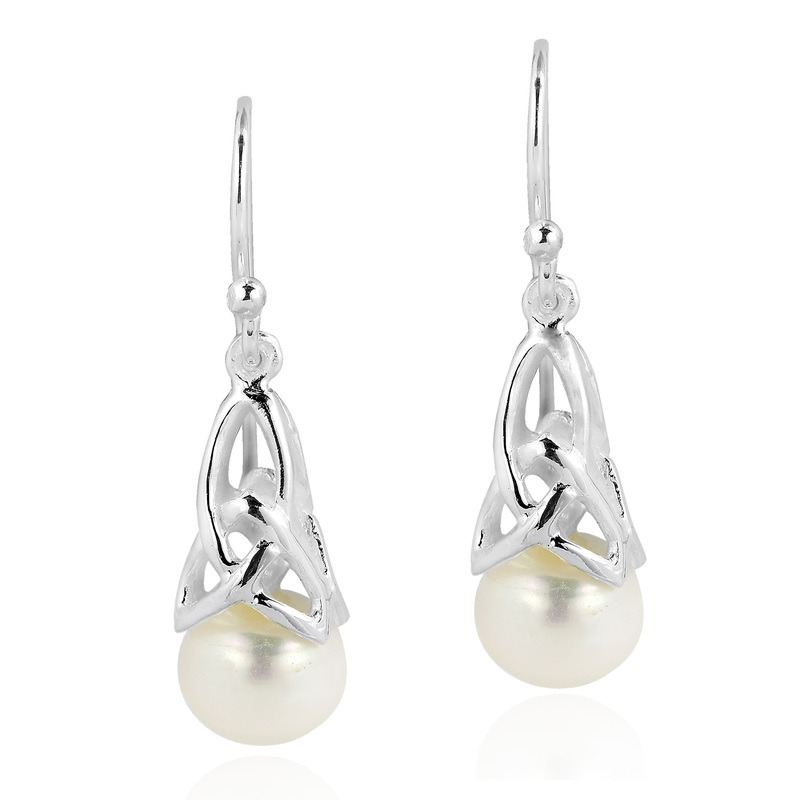 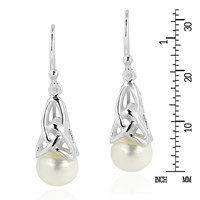 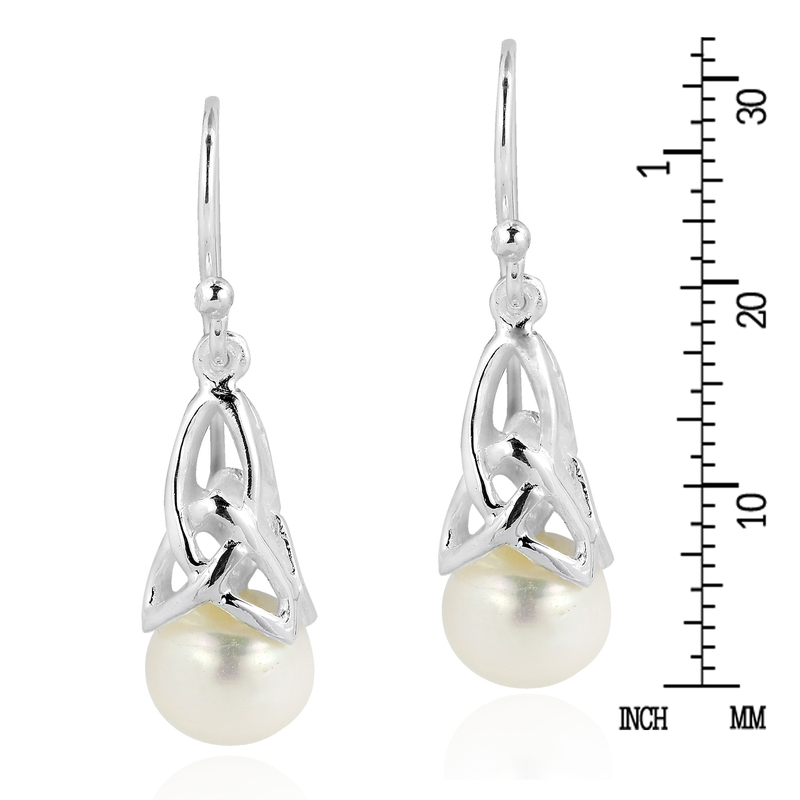 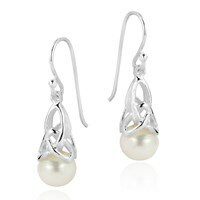 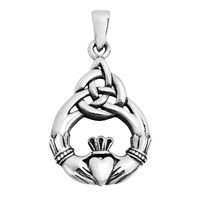 A bright cultured freshwater pearl hovers below a Celtic inspired filigree pattern crafted from polished sterling silver. 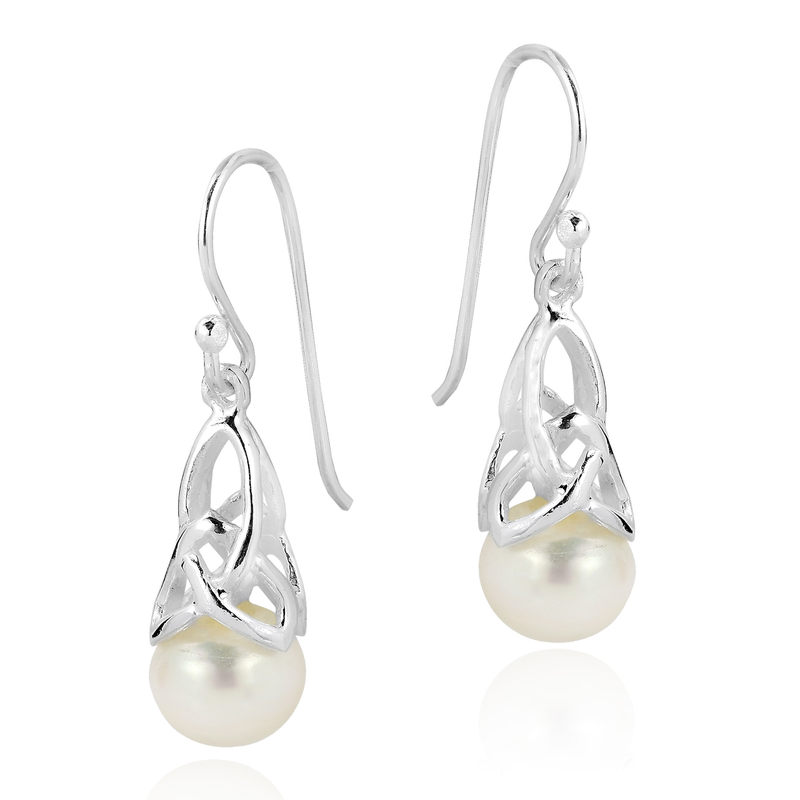 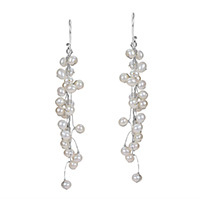 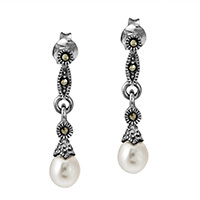 Hand made by Khun Yao from Thailand, these earrings feature an 8 mm pearl with a fish hook closure. 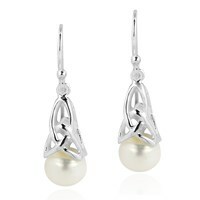 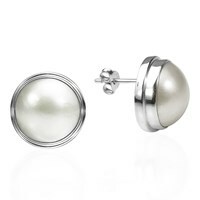 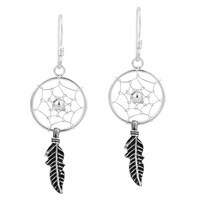 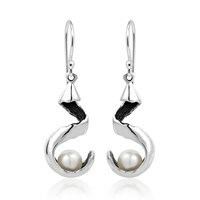 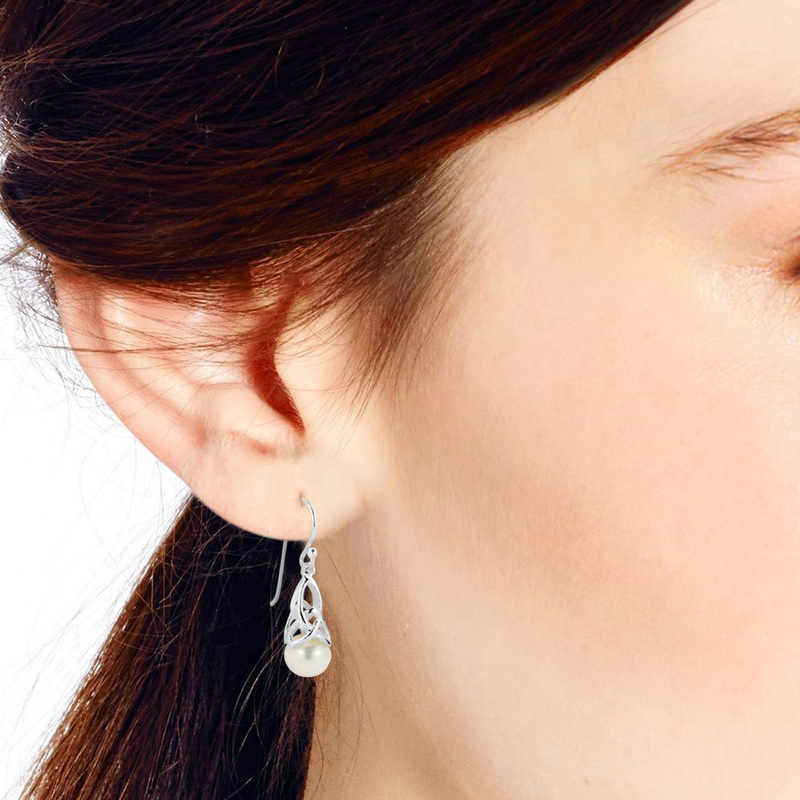 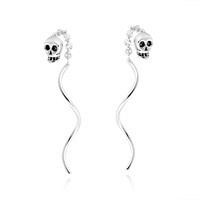 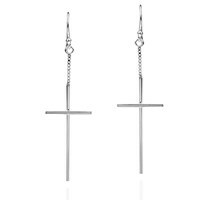 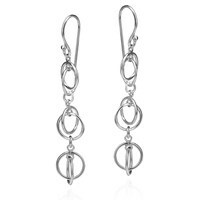 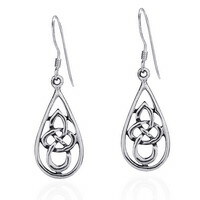 Sophisticated, classy and debonair, these earrings complement a range of outfits and evening styles.